The actions of people in the pursuit of love and happiness are sometimes unplanned spontaneous and dangerous. In this story a man comes to town and becomes involved with a married woman. They plan and plot her way out of the marriage, options on the table they want things to be clean. They have a plan, how will it unfold? Will they walk away in each other arms in happiness? One thing for sure is there will be blood. Well if your familiar with the authors writing and read his novel Double Indemnity you will know that his story becomes intricate and a web that his characters must free themselves from. This was another enjoyable tale of individuals and the macabre. I found this info on the title of the novel on good old Wikipedia.. The title is something of a non sequitur in that nowhere in the novel does a postman appear, nor is one even alluded to. The title’s meaning has therefore often been the subject of speculation. William Marling, for instance, suggested that Cain may have taken the title from the sensational 1927 case of Ruth Snyder. 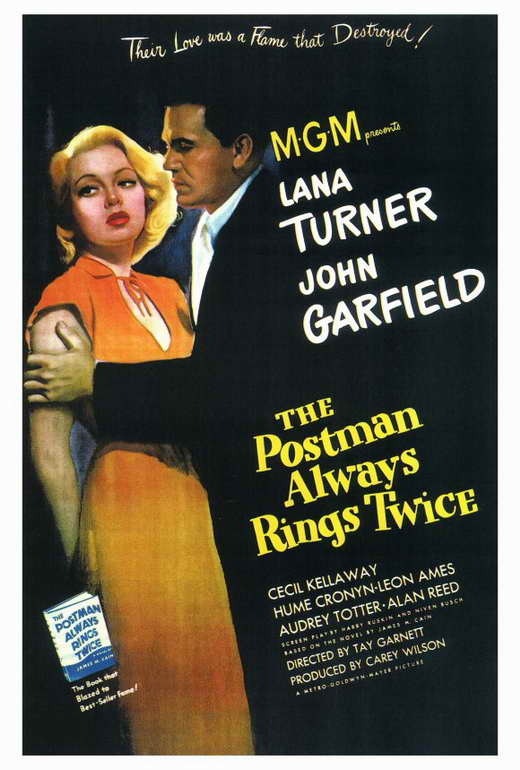 Snyder was a woman who, like Cora in Postman, had conspired with her lover to murder her husband. 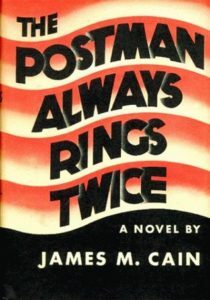 It is recognized that Cain used the Snyder case as an inspiration for his 1943 novel Double Indemnity; Marling believes it was also a model for the plot and the title of Postman. In the real-life case, Snyder said she had prevented her husband from discovering the changes she had made to his life insurance policy by telling the postman to deliver the policy’s payment notices only to her, and instructing him to ring the doorbell twice as a signal indicating he had such a delivery for her. In the preface to Double Indemnity, however, Cain gave a specific, and entirely different, explanation of the origin the title for The Postman Always Rings Twice, writing that it came from a discussion he had had with screenwriter Vincent Lawrence. 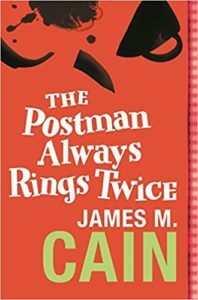 According to Cain, Lawrence spoke of the anxiety he felt when waiting for the postman to bring him news on a submitted manuscript—specifically noting that he would know when the postman had finally arrived because he always rang twice. 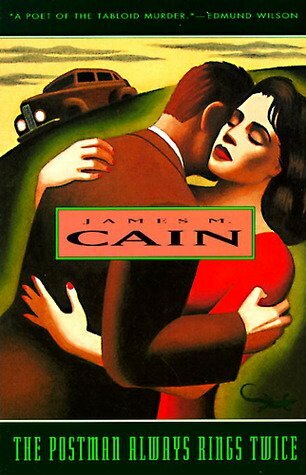 Cain then lit upon that phrase as a title for his novel. Upon discussing it further, the two men agreed such a phrase was metaphorically suited to Frank’s situation at the end of the novel. With the “postman” being God, or Fate, the “delivery” meant for Frank was his own death as just retribution for murdering Nick. Frank had missed the first “ring” when he initially got away with that killing. However, the postman rang again, and this time the ring was heard: Frank is wrongly convicted of having murdered Cora, and then sentenced to die. The theme of an inescapable fate is further underscored by the Greek’s escape from death in the lovers’ first murder attempt, only to be done in by their second one. In his biography of Cain, Roy Hoopes recounts the conversation between Cain and Lawrence, only he extends Lawrence’s remarks. 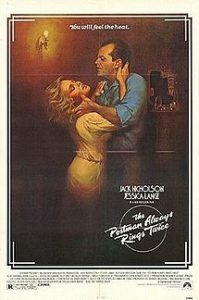 He did not merely say that the postman always rang twice, but rather that he was sometimes so anxious waiting for the postman that he would go into his backyard to avoid hearing his ring. It was no good, however, for if the postman’s first ring was not noticed, his second one, even from the backyard, would be.